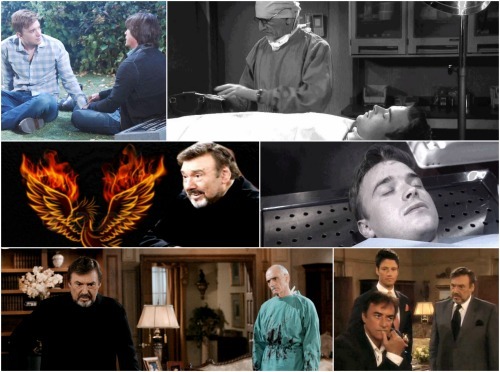 Days of Our Lives Spoilers: Dr. Rolf’s Master ‘Mind’ – Reprogrammed Will Horton, But Into Who and Why? Days of Our Lives spoilers confirm the search is on for Will Horton (Chandler Massey.) The dastardly Dr. Rolf is playing mind games – and we mean that literally. What kind of monster (or vegetable) could Will turn into because of the reprogramming? 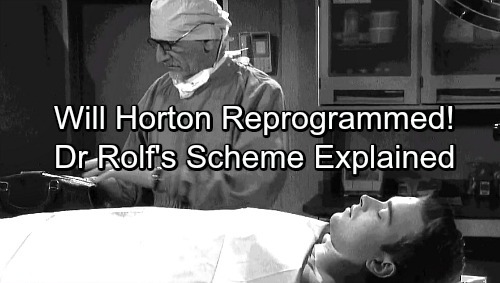 Reprogramming the brain seems like a sci-fi concept that wouldn’t be part of DOOL. However, it has been part of a few storylines in the past. Especially with Stefano DiMera (Joseph Mascolo) and Dr. Rolf. Longtime viewers will remember all the evil plots this diabolical due was involved in. Days of Our Lives spoiler hint that even though Stefano is gone, he is very much still a part of the story. He won’t be seen, but his presence and involvement in this storyline will be felt. Considering Dr. Rolf is returning, what is he doing with Will Horton? Dr. Rolf has a few favorite pastimes: resurrecting the dead and messing with people’s minds. He screwed up John Black’s (Drake Hogestyn) brain. He also programmed Rex and Cassie aka the Gemini Twins. It was quite an “explosive” storyline. With Stefano still alive and out there somewhere, he could be part of this storyline. It isn’t clear what kind of reprogramming is going on in the lab. However, it can’t be anything good. Revenge, chaos and destruction are the main motivators. Just think how the DiMeras have brainwashed and implemented mind control with their own family members. Nothing is going to stop them from using Will’s dead body, bringing it back to life and using him for evil. Days of Our Lives spoilers confirm Eileen Davidson is returning as Kristen DiMera. She is likely also a part of the story. 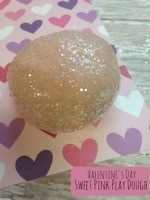 Even though she will not be seen until next month, she has her hands mixed in with this. She either survived the fall in Italy or she was already resurrected. If they also bring back EJ (formerly James Scott,) Stefano and Dr. Rolf could be creating their own little DiMera army. Just how many dead DiMera family members are going to rise again? Will the Salemites be able to find Will Horton before it is too late? 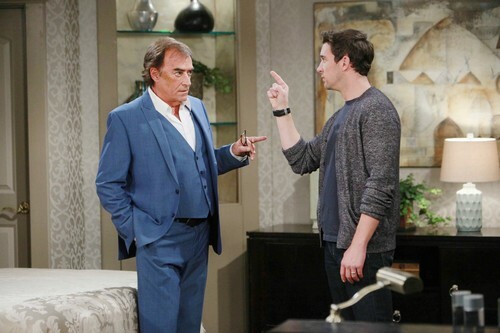 What is Dr. Rolf up to and what members of the DiMera family are involved? Most importantly, what is the reason behind the resurrections and mind programming? Keep watching the NBC soap and check back with CDL for the latest Days of Our Lives spoilers, updates and news. Days of Our Lives Spoilers: Tyler Christopher Script Leak Teases Character of Stefan, Playing New DiMera? Days of Our Lives Spoilers: Y&R Star Greg Rikaart Joins DOOL In Shock Casting News – What Happens to Kevin Fisher?